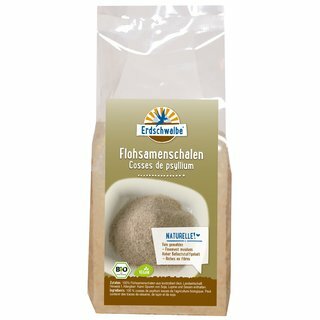 Erdschwalbe Psyllium husks finely ground 250g-bag. Organic - EG-Öko-cert. Erdschwalbe Organic Psyllium husks finely ground. Ingredients: 100% Psyllium husks from certified organic agriculture. Note for allergy sensitive people: may contain traces of soy, sesame and almonds. Storage: Store in a cool and dry space. Package contents ? net weight: 250g.